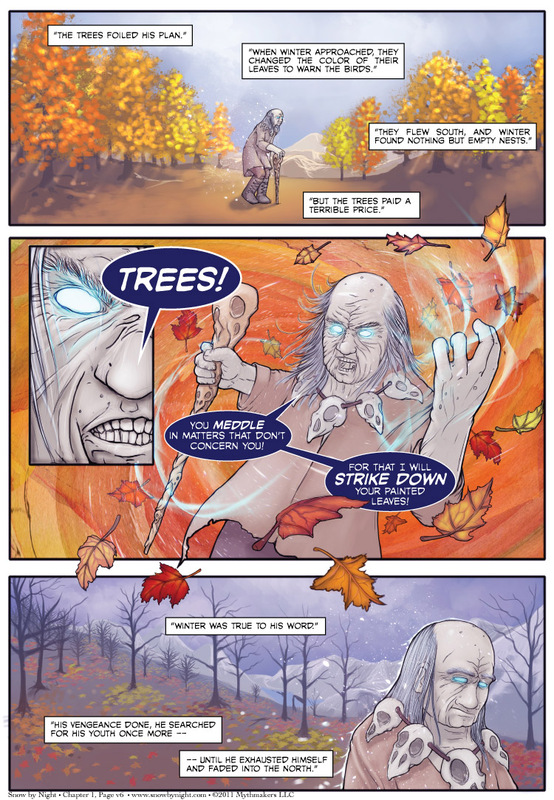 I’ve posted Page 6 of Feathers and Frost. The trees intervene and Winter wrecks havoc on the wilderness of Everique. Once again, Eric Schneider does a fantastic job with this page. My thanks to him for spelling Brittany while we put Chapter 2 together. Speaking of Chapter 2, only two more weeks before we pick up the main narrative and switch to posting two pages a week. I can’t wait!